One of the most distinguishable characteristics of the Xterra is the “hump” on the back hatch. What is it? The first aid kit. Even thought the Xterra was first introduced in the spring of 1999, the first model was dubbed a 2000. In 2002, Nissan discontinued two colors from the available paint scheme, khaki and Aztek Red. But Nissan added Shock Blue, Sedona and Molten Lava. The color Atomic Orange was only available in the year 2003. 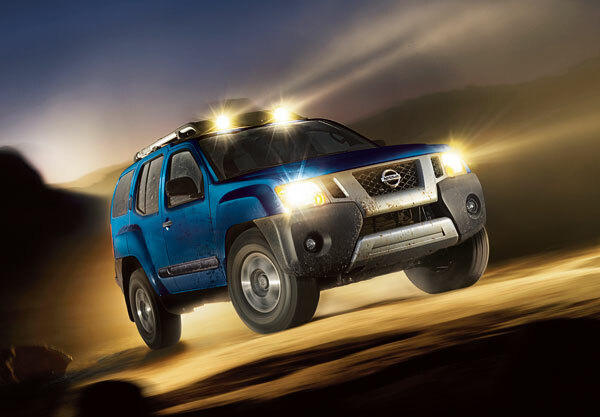 In 2005, the Xterra was given a major overhaul redesign, utilizing the Frontier/Titan platform instead of the Pathfinder platform. Although Nissan is a Japanese company, the Xterra is not assembled there. Believe it or not, all Xterras-along with Frontiers and Pathfinders-are assembled in Smyrna, Tennessee. For more information of the Nissan Xterra, or to view available inventory, please visit http://bit.ly/YC45pN.